For people who are just starting out in running, there’s a huge temptation to grab your trusty old pair of tennis shoes and head out the door. However, the leading cause of injury for runners comes from wearing shoes that are worn out or that do not fit well. Before you start running, you need to invest in a good quality pair of running shoes. Keep these tips in mind as you shop for your new pair of running shoes. Running shoes are an investment. You will likely have to spend around $120 for a good pair of running shoes, but this is an investment that will be worth it in the long run, especially when you consider the amount of time and money you could end up spending at doctor’s offices if you hurt yourself. Having a good pair of running shoes will also help you get more out of your workout. Always ask the experts. This is especially important if you are new to running and aren’t sure the exact shoes you will need. Rather than going to your nearest department or even shoe store, find a specialty running store or a good sports store where you can find experts who can help you find a pair of shoes that will give you the support you need for your feet and stride. Get your feet sized. Although you think you know what size shoe you wear, you should have your feet measured every time you get new shoes because your feet do change over time. It’s best to get your feet measured when they’re at the largest, which is usually later in the day. With running shoes, you usually want a pair that’s slightly larger than your feet, having about a half an inch of space between your toes and the front of the shoe. That allows you to flex your whole foot as you run and leaves plenty of space for your toes to move forward. Try them out. 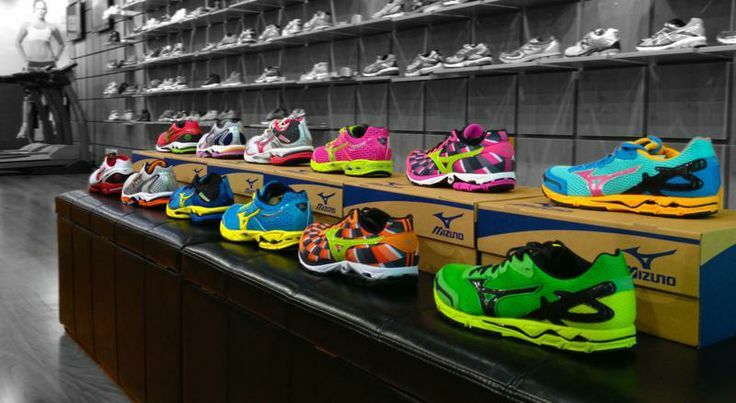 Some specialty running stores will have treadmills where you can try out the shoes in store, while others may allow you to take the shoes for a spin around the block. It’s important that you try your running shoes out while you’re actually running because sometimes shoes that seem comfortable while standing are not when in motion. Latest is not always greatest. 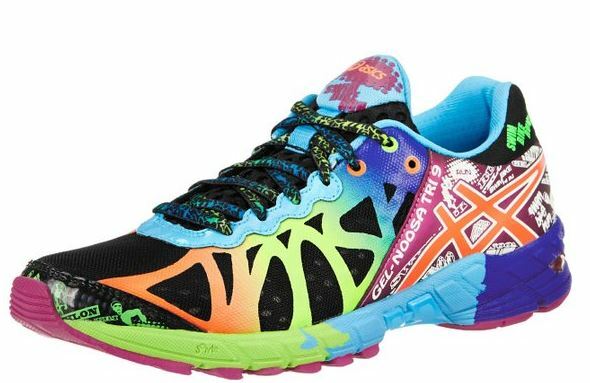 There are a surprising number of running shoes out there to choose from, and it’s not uncommon to see companies put out new shoes with impressive promises to help you run faster or solve various health problems, or even lose weight. Don’t buy into these promises. Follow the advice of the in-store shoe experts and go with a shoe that fits you comfortably and supports you where you need support. Bring what you’ve been using. If you already have done some running, bring your shoes, socks, and other inserts along with you. Sometimes, having a different pair of socks on or adding a different insert later will affect the feel of your running shoes, so it’s best to try on your new shoes with what you plan on actually running with. This entry was posted in ASICS Running Shoes, Running Shoes and tagged Running Shoes.